Tourism bodies are no longer able to refuse to advertise establishments which do not have nationally recognised quality ratings. It follows a legal challenge to the alleged discrimination against certain businesses when taxpayers' money is paying for the promotion. 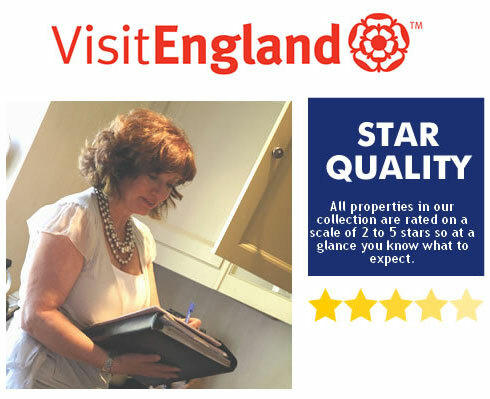 Carolyn Custerson, chief executive of the English Riviera Tourism Company, said at the industry briefing which following a legal challenge, VisitEngland and Quality in Tourism had been reviewing their policy for star ratings over the past year. "It may be something you don't feel quite comfortable with, but they have had a claim against them for saying that unless you were officially rated you couldn't be promoted on websites etc," she said. "Their lawyers have said to them they cannot use public money or state aid and then dictate to a business whether they have to invest further in the cost of being star rated. "As a result, VisitEngland has decided not to promote businesses such as accommodation on their website. "The ERTC board discussed this at length and we are in a similar position, but on a much smaller scale. "We do get £500,000 state aid. The board has agreed to follow what is happening nationally and that businesses must be allowed to choose whether they are star rated or to be English Riviera approved as legal, safe and clean as our hands are tied legally. "I was quite shocked when this all came to light. "Anybody can take part in the ERTC official marketing campaigns and it is for you as businesses to decide and not for us to dictate to you what you should have to do." The change was questioned by Pauline Roberts of the award winning VisitEngland four star Atlantis Holiday Apartments in Torquay. While she accepted that the company's hands were tied, she asked if it would continue to promote the businesses which do pay for national grading, in descending order as now. "There are a lot of people here who really invest in their business and would like to know you are going to promote them," she said. Mrs Custerson said the company was still committed to quality businesses and would be keeping the facility to search by star rating on the website. 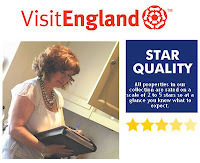 "Analysing what people are looking for on our new website it is four and five star." Mrs Custerson said they would be requiring businesses to 'self certificate' their declaration about the ratings they have. They would be excluded immediately from the promotions if the declaration was wrong and there were complaints. "I am not necessarily comfortable about where we are at with this, but I think we have to be a bit relaxed about it," she said. Michael Hopkins, who was in the audience at the briefing, said: "There are quite a few displaying stars and diamonds and whatever else they are supposed to have but haven't got. If somebody wants to put three or four keys or whatever, how are you going to check on that?" Mrs Custerson said she had already reported businesses displaying plaques for ratings they don't have.